If you’ve been following us for some time, you know we love to make flavorful & healthy comfort foods with a healthy plant based twist, like our Grilled Potato Salad and our Plant Based Italian Sandwich and even our Vegetable Ranch Appetizer Pizza. All of these recipes are full of flavor without all the cholesterol and added oil found in many similar dishes. 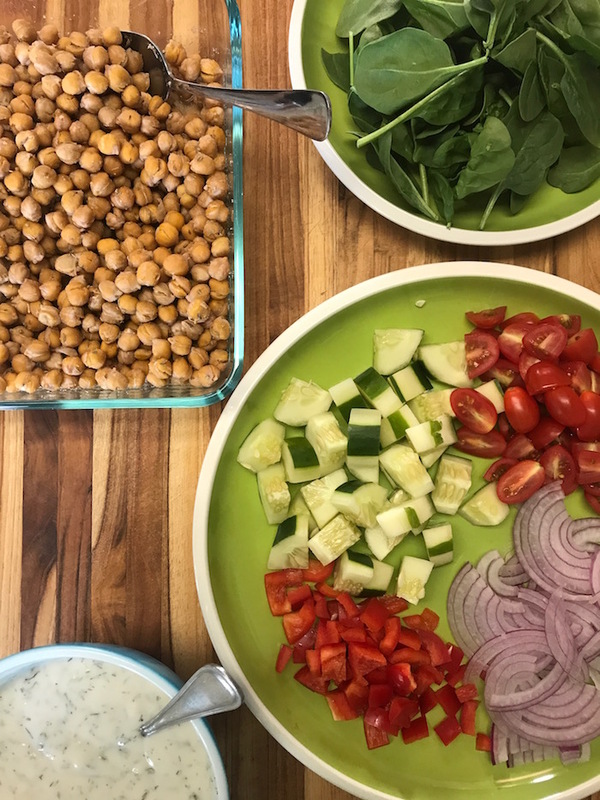 Today we are adding another tasty and plant based recipe to your recipe box; Chickpea Gyros. It isn’t our first time sharing a gyro recipe. We made another healthy, cruelty-free, option with similar flavors using seitan – Seitan Gyros – that reversed my previous feeling of gyros… because those were dang delicious! 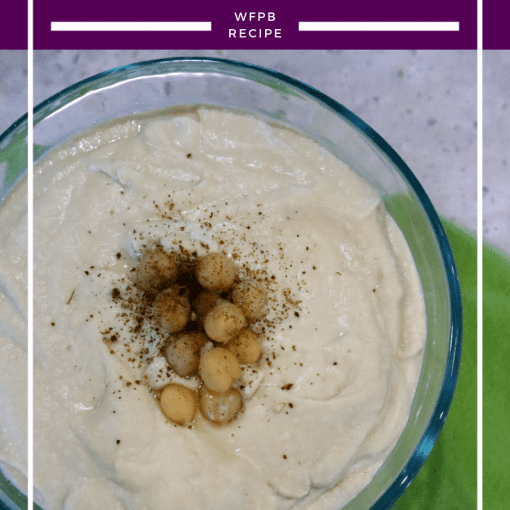 With this chickpea version we were focused on creating a recipe that was full of flavor, quick to toss together on a weeknight, and helped check off the bean serving of Dr. Greger’s Daily Dozen. If you watched me attempt the daily dozen challenge the first time, you know that I would have nailed it if we ate these gyros instead of the seitan ones. By grabbing a whole wheat pita or lavash and adding a serving of vegetables, this recipe checks a few of those items on Dr. Greger’s list. 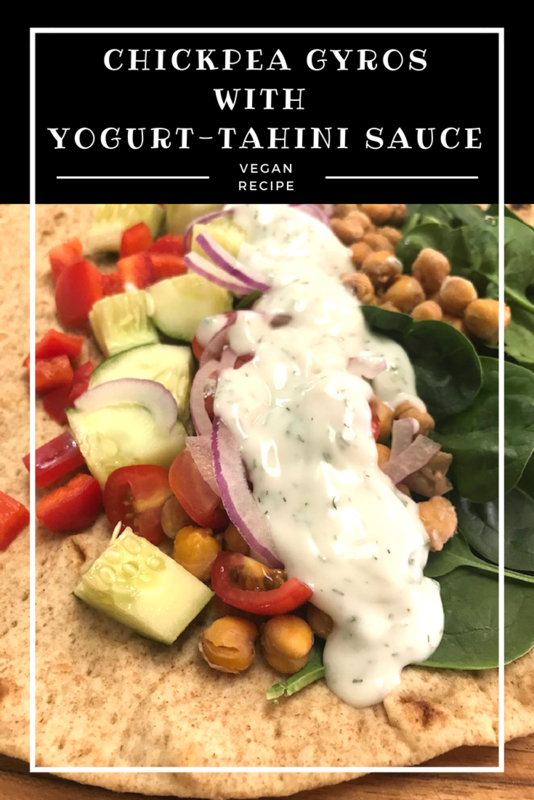 This recipe for Chickpea Gyros with Yogurt-Tahini Sauce is a flavorful and healthy lunch or dinner option that is sure to please the palate. It’s also easy to make on a weeknight and easy to prep for leftovers if you are a meal prepper. 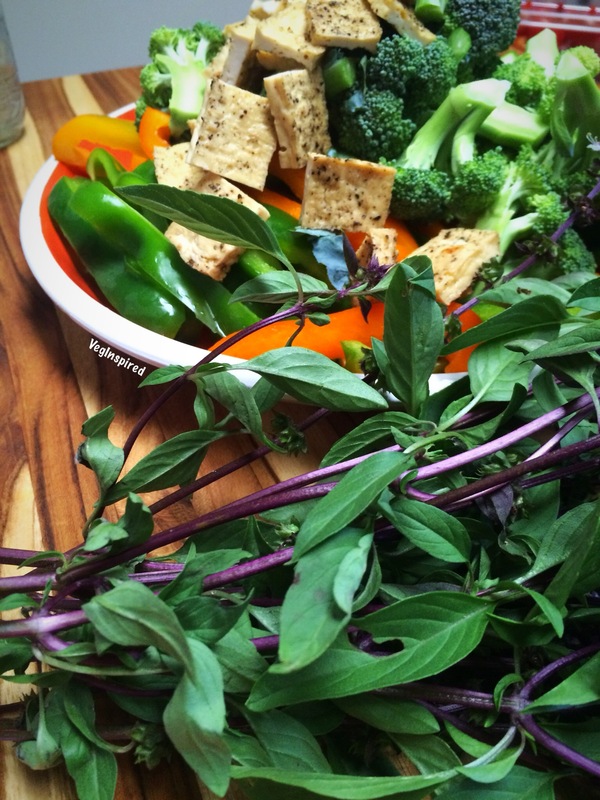 We made a quick recipe video for your viewing pleasure, click below. 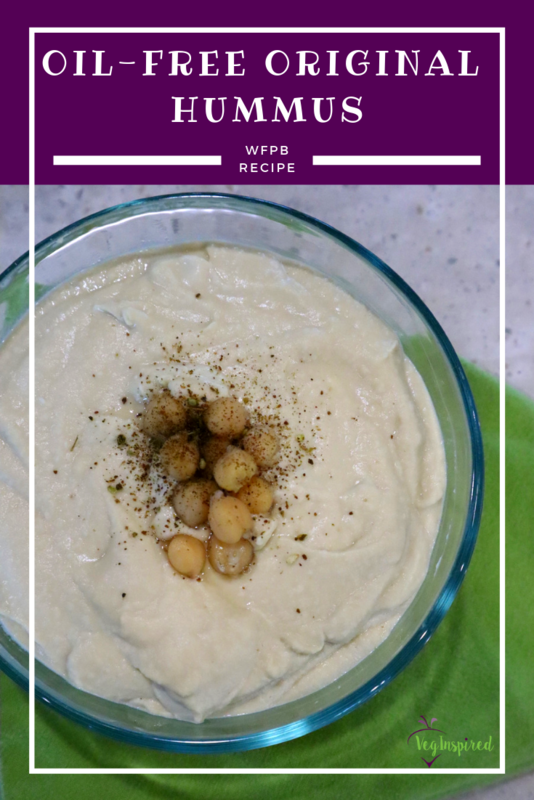 The idea for the chickpeas came when we were recipe developing for our E-Cookbook. We created a nice savory tempeh recipe for use in our Super Veg Bowls, but we wanted to provide an alternative to tempeh. Enter the chickpea. We knew we wanted it to have a slightly “chewy” texture, but not crunchy (crunchy in a wrap or sandwich wouldn’t work, but I might further develop this recipe for a crunchy snack… hmmmm). 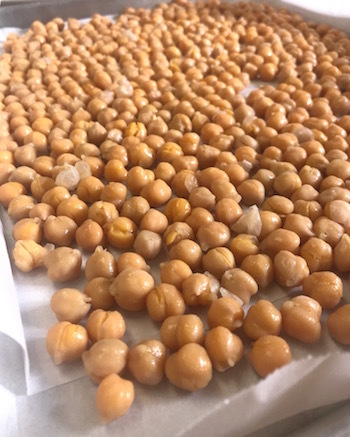 So we drained the chickpeas, patted them dry, tossed them on a parchment-lined baking sheet, and into a 400-degree oven for about 30 minutes – about half the time one might roast a crunchy chickpea snack. They emerged the perfect texture, slightly dry with a nice chewy texture. So now it was time for flavor. We knew that our flavoring of our Seitan Gyros was spot on with the red wine vinegar and the oregano and garlic. So we started there. Well, the cloves of garlic were a bit pungent since they weren’t being browned like the seitan. So we subbed some garlic powder, and it was perfect. 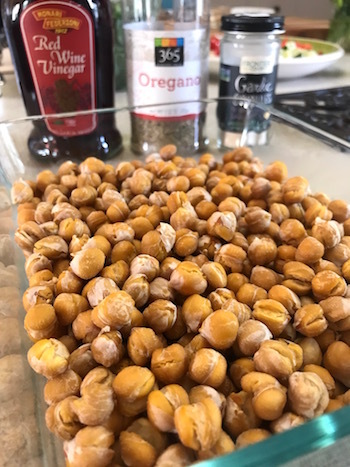 We dressed the roasted chickpeas with the red wine vinegar, oregano, and garlic salt and they were ready to shine. No gyro is complete without a creamy,a great herby dressing. Typically gyros are served with a Tzatziki. You can grab a recipe for that on the Seitan Gyros post. We opted to chop our cucumbers and make a yogurt-tahini sauce. We added the tahini to add a bit of thickness (since it didn’t have the cucumbers). The addition of the teaspoon of dill can excellent flavor profile. We use So Delicious plain coconut vegan yogurt. It has a nice texture and a nice mild flavor that allows the flavors of the dill and lemon to pop through in the gyro. Traditional Guyros are served on a pita. 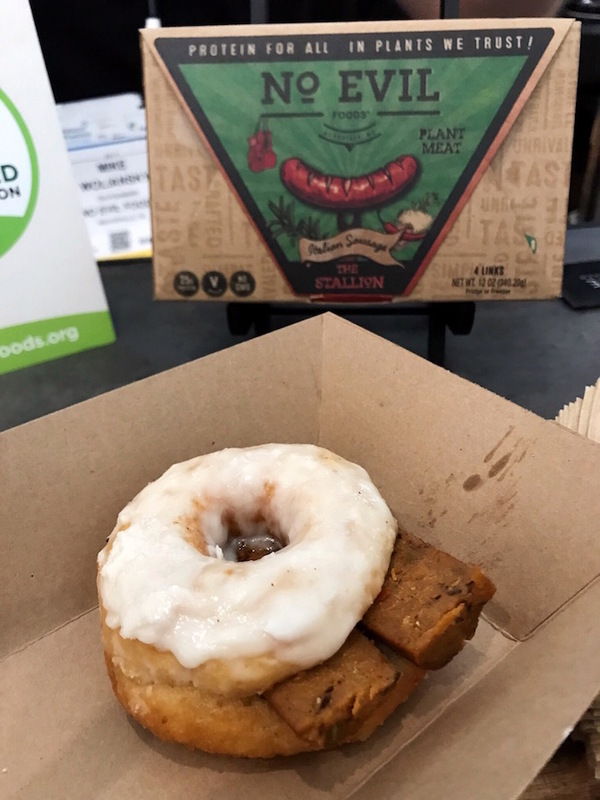 We prefer whole wheat for that healthier option. When we shot and filmed this video, there were no whole wheat pitas. We opted for some whole wheat lavash, which actually worked well with a larger and more “handroll” style gyro wrap. If you can’t find pitas or lavash, a nice whole wheat tortilla would be a nice alternative. 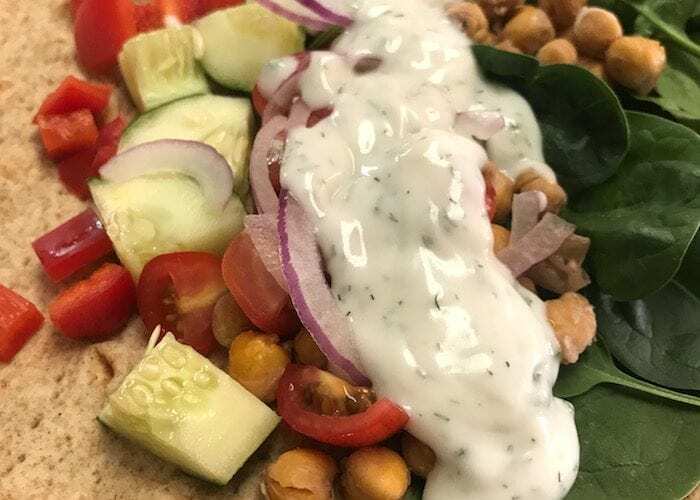 Putting the Gyro together is easy, warm your pita, top with greens, chopped tomatoes, peppers, cucumbers, sliced onions, and the creamy Yogurt-Tahini Sauce and voila, dinner is served. 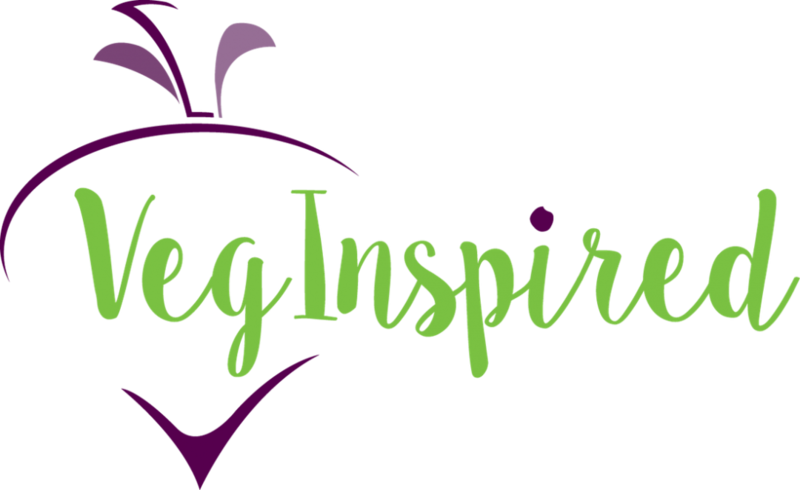 Be sure to tag us @veginspired and #veginspiredfoodie so we can find your pictures of these tasty chickpea gyros. Want more recipes like this? Join our email list to get free recipes delivered right to your inbox. 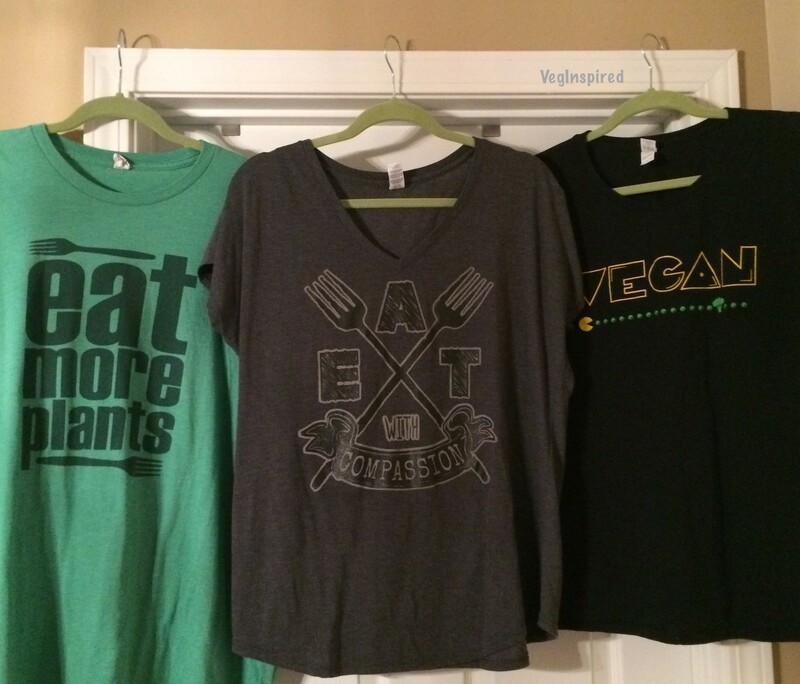 Until next time, Eat More Plants & Live VegInspired! 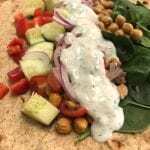 This recipe for Chickpea Gyros with Yogurt-Tahini Sauce is a flavorful and healthy lunch or dinner option that is sure to please the palate. Easy to make on a weeknight and easy to prep for leftovers if you are a meal prepper. 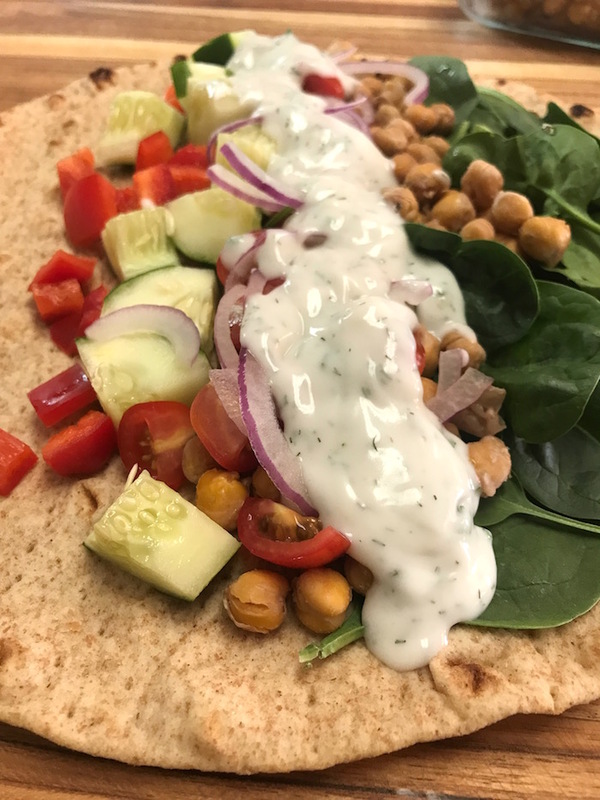 Assemble Gyros in the pitas- greens, chickpeas, chopped vegetables, onions, yogurt-tahini sauce. Creamy and herby sauce with a tang that perfectly compliments the chickpea gyros. 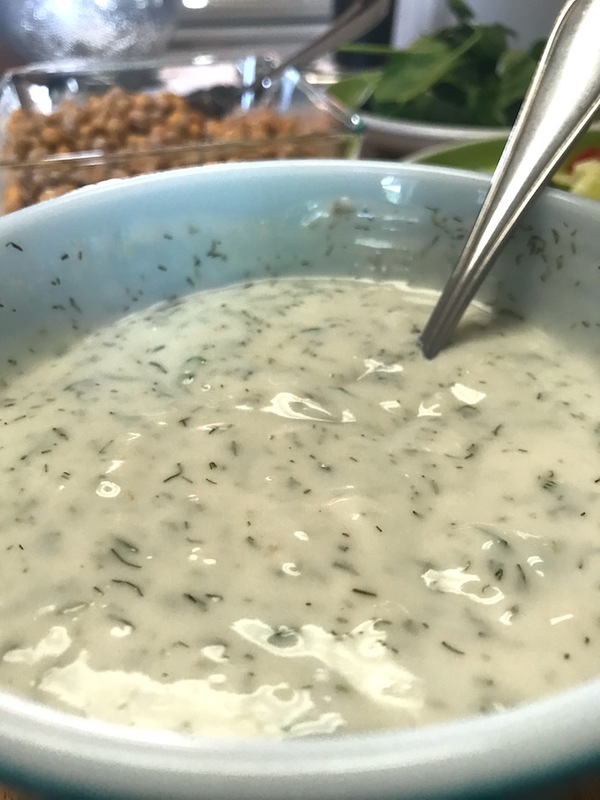 You could also add a peeled, seeded, and grated cucumber to make this a tzatziki sauce, but we opted to dice the cucumber for some crunch in our large wraps.